Halloween is celebrated on October 31. Halloween is an abbreviation of “All Hallows Evening.” Halloween has become associated with various traditions and activities in the U.S.A. Some of these traditions are trick-or-treating, costume parties, carving jack-o-lanterns, and visiting haunted houses. In the nineteenth century Scottish and Irish immigrants brought many versions of these traditions to North America. In the late twentieth century other western countries – New Zealand, Australia, United Kingdom, Puerto Rico, and Canada embraced the holiday. The origins of Halloween come from the Celtic festival called Samhain. It marked the end of harvest season and was when people began to stock up for the winter. Ancient Celts were pagans who believed that during October 31, the boundaries between the living and the dead became one and overlapped for a single day, bringing the deceased back to life. They believed that the deceased would cause damaged crops or sickness for the communities. Ancient festivals generally involved bonfires to ward off the powers of the deceased. Bats are a symbol of Halloween because during the bonfires, insects were attracted to the fire, which in turn attracted bats. Scary costumes and masks were worn in an attempt to appease or mimic evil spirits. Halloween has since evolved from those early beginning and associations. The activities around Halloween are now more light-hearted and do not have the same meanings as before. 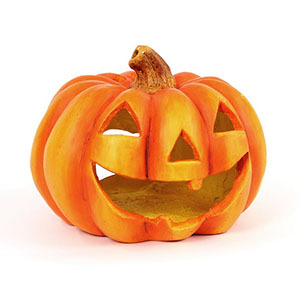 Encouraged by media and retail outlets which sell all sorts of Halloween products, Halloween in the US has significantly grown in popularity with both children and adults participating. However you celebrate Halloween – trick or treating, wearing crazy costumes – have a fun but harmless time this Halloween!